Travel to Africa often involves multiple destinations. The distances are vast and safari logistics can be complex. Chitwa Chitwa has partnered with Icon Expeditions - a team of African travel experts based in Cape Town - to organize your itinerary to Southern Africa. On this 10 night tour, you will get to experience the city lights and natural beauty of Cape Town, South Africa’s Mother City, Big 5 safaris at the luxurious Chitwa Chitwa Private Game Reserve and the mystical Kalahari Desert in Tswalu – South Africa’s largest private game reserve. This itinerary is designed to give you an idea of posibilities. 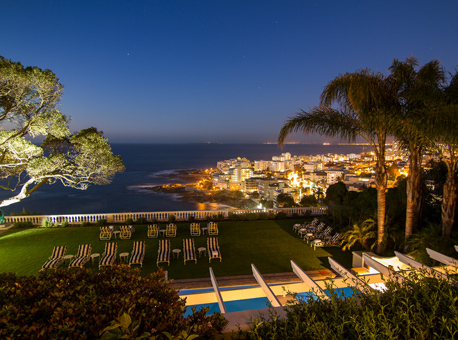 From Cape Town Airport, you’ll be transferred to the prestigious Ellerman House for four nights. 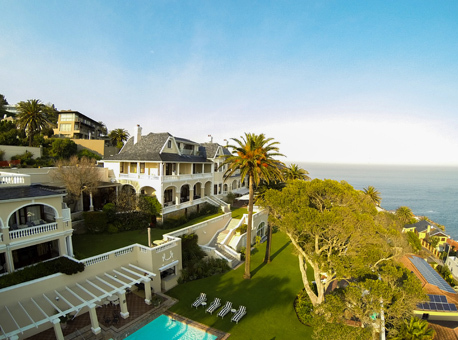 Situated on the slopes of Lion’s Head, Ellerman House revolves around an appreciation of fine wine, art and lifestyle. The city presents a plethura of pleasures to discover from the city’s celebrated restaurants and bars to the quaint charm of the Cape Winelands. Those who wish to catch some sun look to the white sand and turquoise water of Cape Town’s beaches and climbing Table Mountain – or taking the cable car – is the city’s rite of passage. Fly from Cape Town Airport to Kruger Airport and then take a short charter flight into the Sabi Sand Private Game Reserve where you will spend 3 nights in a luxury suite at Chitwa Chitwa. 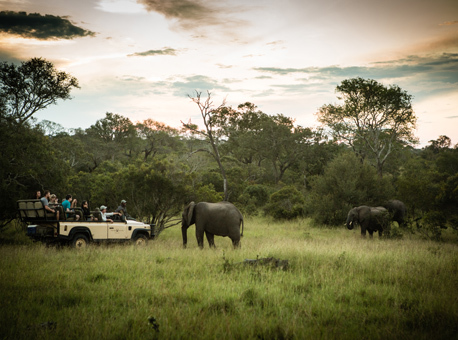 You’ll get to experience an exclusive wilderness experience on game drives with expert rangers and trackers. 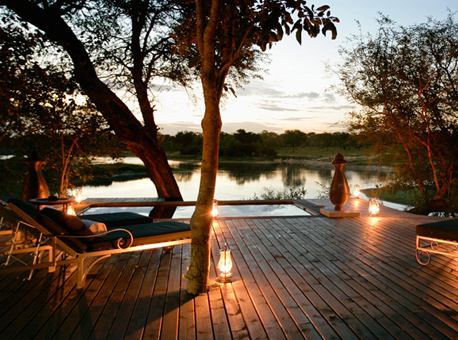 Be pampered in the spa, relax on your deck overlooking hippos in the dam and enjoy luxury meals in the boma. After your stay you will fly to Johannesburg International Airport for your flight to Tswalu. 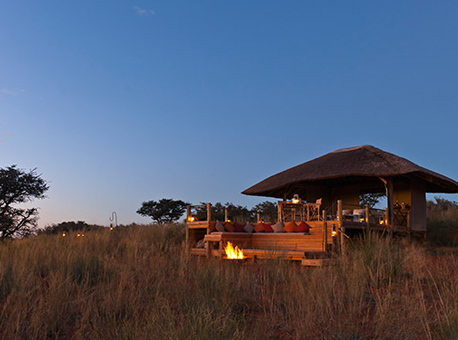 You’ll spend 3 magical nights in Tswalu Motse Lodge, fully inclusive. Here you’ll discover dusty desert sunsets, unusual desert dwelling animals and top notch accommodation. Enjoy delicious meals, spend time at the Sanctuary spa and gym, lie on the sun deck or take a dip in the swimming pool. You will get to go on game drives in open-sided, canopied safari vehicles and see some of the 70 species of mammals that inhabit the reserve. On the last day you will be transferred back to Johannesburg for your onward travel plans. You’ll visit Africa’s most special destinations on this 9 night tour. Explore the Mother City of Cape Town, experience the Big 5 territory of the Sabi Sand Private Game Reserve on a luxury safari and finally witness the majesty of Victoria Falls from Zambia. You will be transferred from Cape Town Airport to Ellerman House – a property that, arguably, boasts South Africa’s best ocean view. Situated on the slopes of Lion’s Head, Ellerman House revolves around an appreciation of fine wine, art and lifestyle. This itinerary includes a half day tour of Cape Town city and Table Mountain, with a trip up the cable car, as well as a trip to the historical Robben Island, a full day tour of the Cape Winelands and the a full day tour of the Cape Peninsula. On your last day, you will be transferred back to Cape Town Airport. Fly from Cape Town Airport to Kruger Airport for your scheduled charter flight to the luxurious Chitwa Chitwa in the Sabi Sand Game Reserve. Enjoy 4 nights on a fully inclusive basis, get to experience the Big 5 on exciting game drives with expert rangers, be pampered in the spa with professional therapeutic treatments and enjoy delicious meals under the African skies. On your last day you will transfer from the Sabi Sand back to Kruger Airport. Fly from Kruger Airport to Livingstone Airport and be transferred to the five-star Royal Chundu for 2 nights in the Katombora Island Lodge. There is plenty to do here, with tours to Victoria Falls, referred to by the locals as ‘The Smoke That Thunders’, sunset cruises on the Zambezi River, spotting wildlife from your boat as the sky turns crimson, canoeing, and more. On your last day transfer back to Livingstone Airport for your flight to Johannesburg. You will be transfered from Cape Town Airport to MannaBay, where you will stay in the luxurious Explorer Room for 4 nights, with views over the city. After your first night, wake to a delicious breakfast and then head out on a full day tour of the Cape Peninsula. On your third day go on a half day tour of Cape Town, including a trip up Table Mountain in the cable car. This itinerary also includes a trip to the historical Robben Island and a full day tour of the Cape Winelands. You will be transferred back to Cape Town Airport on the last day. 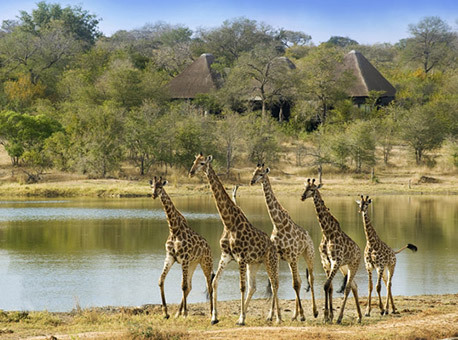 Fly from Cape Town Airport to Kruger Airport and take a short air hop to Chitwa Chitwa in the Sabi Sand Game Reserve. 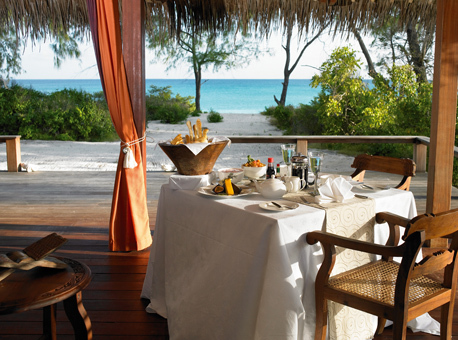 You will spend 3 nights in a luxury suite on a fully inclusive basis. Here you can experience the Big 5 on exciting game drives with expert rangers and be pampered in the spa with professional therapeutic treatments, never mind wining and dining under the African sky. On your last day you will transfer from the Sabi Sand to Kruger Airport. Fly from Kruger to Livingstone Airport in Zambia where you will be transferred to Royal Livingstone for 2 nights in a luxury room, breakfast included. 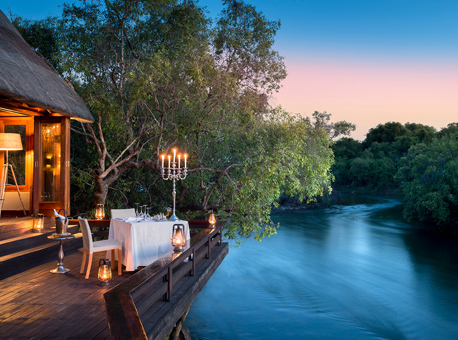 Situated on the Zambezi River, Royal Livingstone evokes 19th Century British colonial grandeur. You will get to go on a spectacular tour of the Falls and a sundowner cruise on the African Queen. On your last day transfer to Livingstone Airport for your flight back to Johannesburg. This is a real adventure, covering South Africa’s Kruger Park, the Victoria Falls and Botswana’s Okavango Delta, giving you plenty of opportunity to see a wide variety of landscapes and wildlife. This 10 night tour takes you right into the heart of four of Southern Africa’s premier wildlife destinations. You will fly from OR Tambo Airport to an airstrip in the Timbavati and be transferred to Chitwa Chitwa for 4 nights in a luxury suite on a fully inclusive basis. Experience the Big 5 on exciting game drives with expert rangers and trackers and be pampered in the spa with professional therapeutic treatments. On your last day you will transfer from the Sabi Sand back to KMIA. You’ll be transferred to Kruger Airport for your flight direct to Livingstone on the Zambian side of the Victoria Falls. 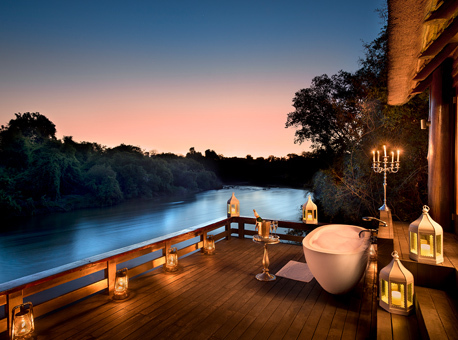 You will then be transferred to Royal Chundu Zambezi, where you’ll stay at Island Lodge on the banks of the Zambezi River for 3 nights. There are numerous activities available at the lodge, including sunset cruises, a tour to Victoria Falls, and treatments in the floating spa on the Zambezi River where you can enjoy the incredible setting and a pampering treatment. You’ll be transferred at the end of your stay to Livingstone Airport to Kasane Airport. From Kasane Airport, be transferred to Sanctuary Baine’s Camp, set among the shady trees and water of the Okavango Delta, where you will spend 3 special nights. Explore the waterways by mokoro or motorboat. Go on walking safaris into the bush than on foot, with skilled, armed guides. At the end of your stay you will be transferred from Sanctuary Baine’s Camp to Maun Airport for your flight back to Johannesburg. You’ll fly from Johannesburg to the Sabi Sand Private Game Reserve to spend 4 nights at the luxurious Chitwa Chitwa, fully inclusive. Go on exciting Big 5 game drives, enjoy drinks and delicious meals under the African stars and watch hippos splashing from your deck. On your last day you will be transferred from the Sabi Sand to Kruger Airport for your onward flight. Fly from Kruger to Livingstone Airport and transfer to the luxury Royal Chundu on the Zambian side of Victoria Falls for a 3 night stay at River Lodge, on a fully inclusive basis. Experience many great activities while here on the banks of the mighty Zambezi River – such as a tour of Victoria Falls and a sunset and sunrise boat cruise. On your last day transfer from Livingstone to Kasane Airport. Transfer from Kasane Airport on to Sanctuary Stanley’s Camp for 3 nights in a luxury tented suite on a fully inclusive basis. This delta safari lodge offers some of the best game viewing in the Okavango, including sightings of the elusive wild dog. 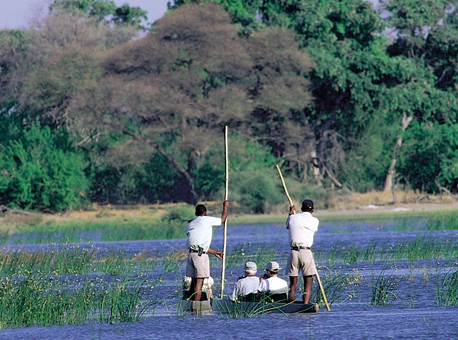 Enjoy traditional mokoro (canoe) excursions and exclusive bush dinners. 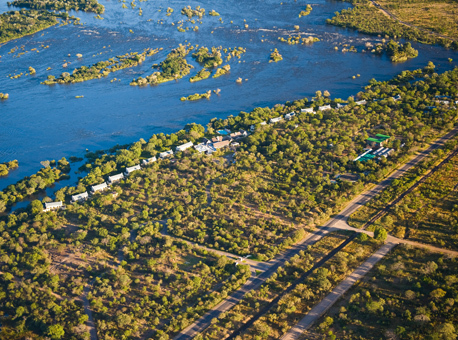 On the last day you will be transferred from Stanley’s Camp to Maun by air for your flight to Johannesburg. Combine beach and bush in this 8 night tour – from the Big 5 terrain of the Sabi Sand to the white beaches and tropical waters of Mozambique’s Bazaruto Archipelago. You’ll get to go on exciting game drives and deep sea diving trips. 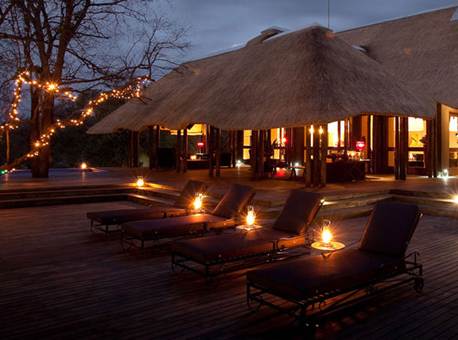 Fly from Johannesburg to the Sabi Sand where you will spend 4 nights at Chitwa Chitwa on a fully inclusive basis. You’ll experience an exclusive wilderness experience on game drives with expert rangers, away from the hordes of Kruger tourists. Enjoy a treatment at the spa, relax on your deck overlooking hippos in the dam and enjoy luxury meals in a boma. On the last day you’ll be transferred to Kruger Airport. Fly from Kruger Airport to Vilanculos in Mozambique. From there you will take a short flight to Azura for 4 relaxing nights in an infinity beach villa on a fully inclusive basis. 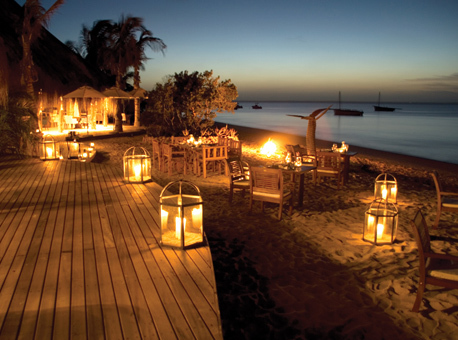 Azura Lodge is located on Benguerra Island in the Bazaruto Archipelago and is Mozambique’s first luxury eco-boutique retreat. Enjoy silky beaches, warm water, cocktails, some of the world’s best diving and snorkelling, and look out for the turtles that nest on the island as well as the migrating whales, dolphins and the elusive dugong. Transfer from Azura back to Vilanculos by light aircraft for your onward travel arrangements. Your African journey begins in Johannesburg, where you will take a charter flight into the Sabi Sand Private Game Reserve on the western border of the Kruger National Park. 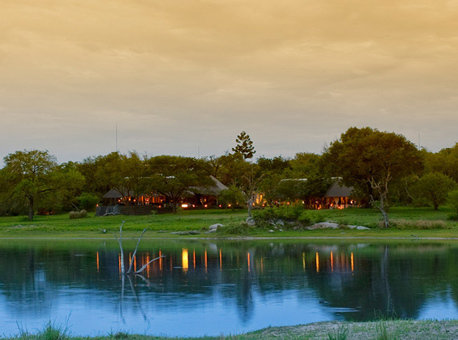 You’ll experience 4 nights at the luxurious Chitwa Chitwa for an exclusive wilderness experience. Go on game drives with expert rangers, be pampered at the spa, relax on your deck overlooking hippos in the dam and enjoy luxurious meals in the traditional boma. After one final game drive on your last day, you will be transferred to Kruger Airport by charter flight. Fly from Kruger Airport to Vilanculos, on the eastern coast of Mozambique. Here you will take an air transfer to Benguera for 4 nights at the idyllic Marlin Lodge, fully inclusive and ideal for those seeking a haven of peace. Explore the warm tropical waters via catamaran, see the colourful coral while snorkelling and diving, and indulge in exotic meals and cocktails. On the last day, fly from Vilanculos to Johannesburg Airport. Experience bush and beach with this 9 night tour, travelling from the luxury Big 5 territory of Chitwa Chitwa in the Sabi Sand to the tropical waters of Mozambique’s idyllic Quirimbas Archipelago. 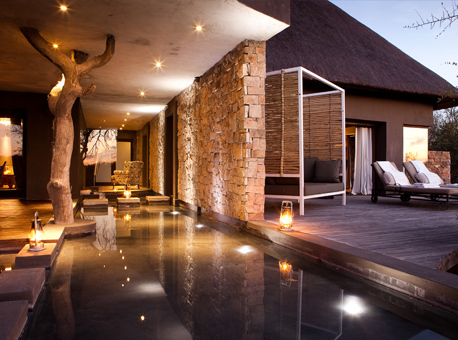 Fly from Johannesburg Airport to the Sabi Sand Private Game Reserve where you’ll be transferred to Chitwa Chitwa. Spend 4 nights in a luxury suite on a fully inclusive basis. You’ll go on exciting Big 5 game drives and dine under the African skies. On your last day you will be transferred back to the airstrip for a flight from the Sabi Sand to Johannesburg. You will be transferred from the airport to The Residence in Johannesburg for one night at this luxury boutique in the historic suburb of Houghton. 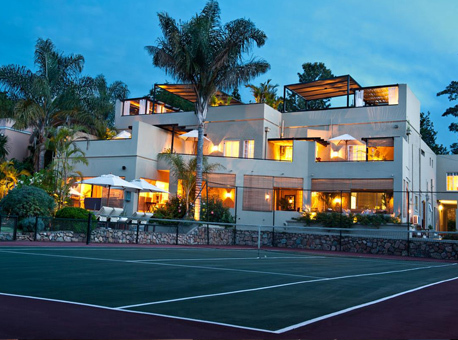 During your short time here you can enjoy a game of tennis or take a dip in the swimming pool. Enjoy a champagne breakfast or take evening cocktails in The Sky Bar, complete with stellar views of the surrounding suburbs and Johannesburg’s renowned urban forest. On your last day you will be transferred to Johannesburg Airport. You will fly to Pemba Airport from Johannesburg and take a charter flight to the luxurious Vamizi Island Lodge for 4 spectacular nights, fully inclusive, on an exclusive island in the Quirimbas Archipelago. Spend your days diving among the colourful corals and tropical fish or why not try your hand at deep-sea fishing? Sit back and enjoy ice-cold cocktails on this idyllic tropical island holiday. On your last day you will take a charter flight to Pemba Airport for your flight back to Johannesburg for your onward travel arrangements. Your adventure starts in Johannesburg where you will take a charter flight into the Sabi Sand Private Game Reserve on the western border of the Kruger National Park. Spend 4 nights at the Chitwa Chitwa, where luxury accommodation meets an exclusive wilderness experience. Go on game drives with expert rangers and trackers, receive treatments in the spa, relax on your deck overlooking hippos in the dam and enjoy delicious meals in a boma. After one final game drive on the last day, you will be transferred to Kruger Airport by charter flight. You’ll spend 1 night at The Residence in Johannesburg before your flight to Mozambique. 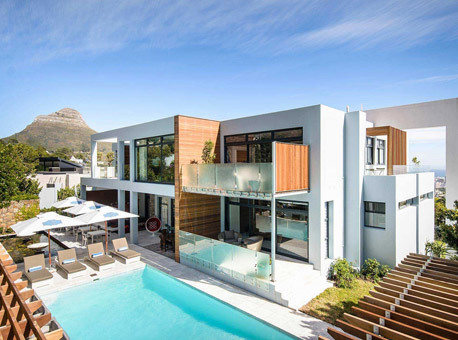 The Residence is a boutique hotel in the historic suburb of Houghton, which is also home to many famous residents including former President Nelson Mandela. Walk through the manicured gardens, enjoy a game of tennis or take a dip in the large swimming pool. Or just relax in your luxury suite. Fly from Johannesburg Airport to Pemba on the last day. 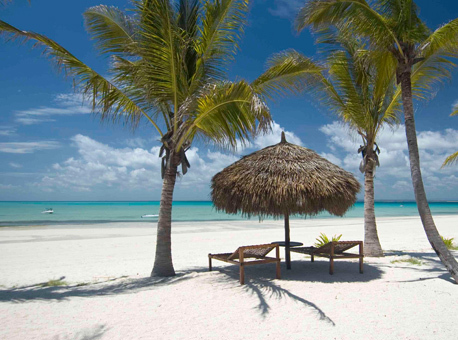 From Pemba Airport in Mozambique you will take a short flight to Matemo Island Resort, in the breathtaking Quirimbas Archipelago in Mozambique. 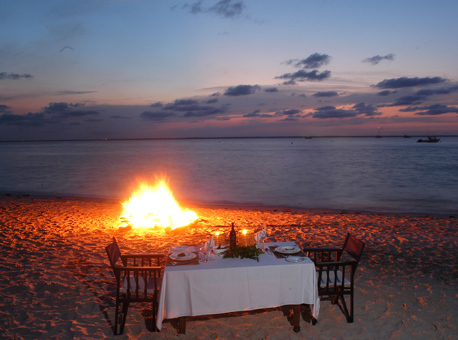 You will spend 4 glorious nights here on a fully inclusive basis. It really is the quintessential tropical island experience – white beaches and thousands of palm trees swaying in the breeze. On the last day, transfer from Matemo to Pemba for your flight to Johannesburg.